The National Conference on Wednesday said that the party would not contest upcoming Panchayat and Municipal elections in Jammu and Kashmir “until the government of India and the state government clear their position on Article 35 A and take effective steps for its protection in and outside the court”. 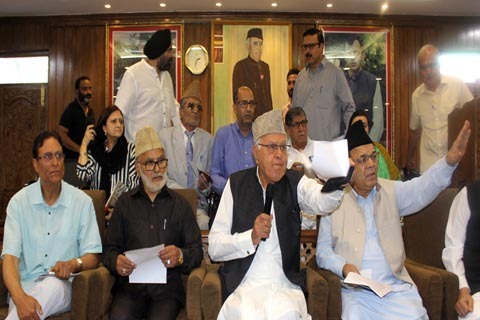 Farooq Abdulla also said that the decision of the state administration to hold urban local body polls and panchayat elections were taken in a hurried manner. “The stance of the central government and the present dispensation in Jammu and Kashmir before the Supreme Court goes clearly against the wishes and aspirations of the people of the state. They conveniently ignore that this provision was incorporated in the Constitution after thorough discussion between the then state government and the Government of India and was made part of the Delhi Agreement 1952,” he said. “It was also approved by the state’s constituent assembly as envisaged under article 370 of the Constitution,” he added. It was only last week that the state government had announced the schedule for holding elections to local bodies and panchayats in the state. While the urban local body polls are slated for the first week of October, the Panchayat elections are scheduled to be held in November-December this year. 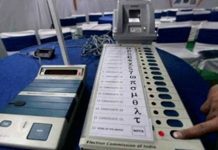 EVM Malfunctions reported from many polling booths in Jammu.